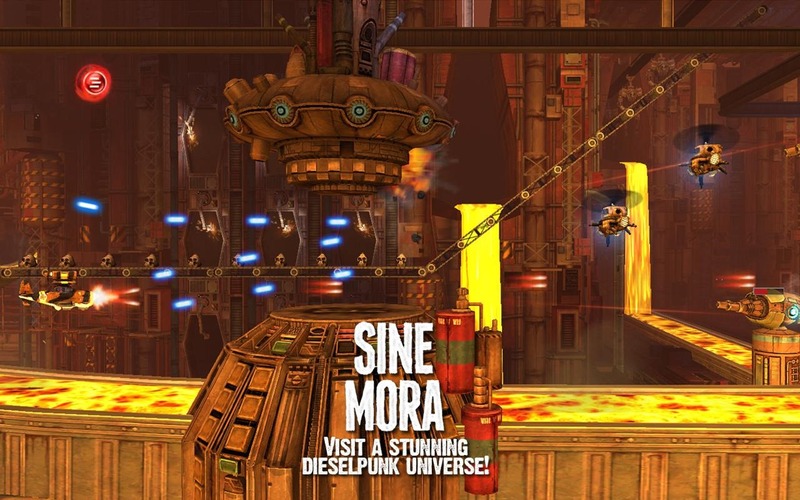 Sine Mora got its start on the Xbox Live Arcade last summer and has slowly but surely been spreading to every platform under the sun. 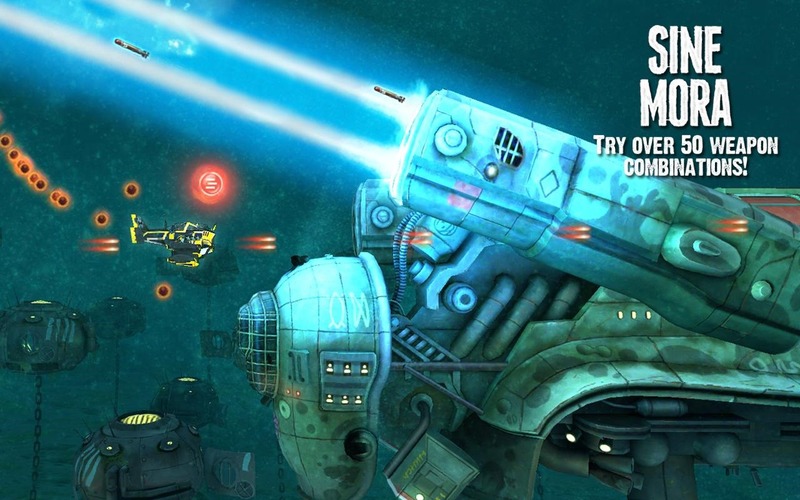 The 2.5D space shooter might not be the "legendary cult classic" that its description alludes to, but it's certainly been well-received by shmup fans, and it's now available on Google Play after a brief spell on the Amazon Appstore. It's a bit on the pricy side at $5.99. 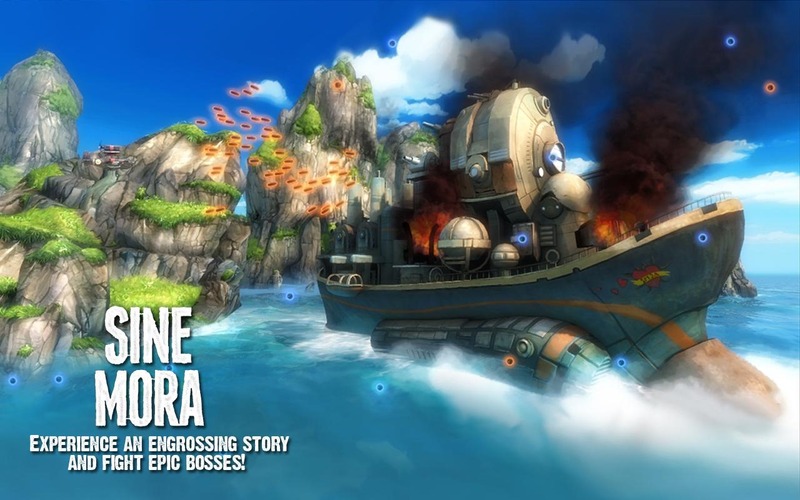 The shooter takes place in a dieselpunk universe (like steampunk, but smellier, and you can use it to poison weeds) where biplanes and giant robots co-exist... but not peacefully. The gameplay itself is 2D while the graphics are 3D, and man, are they gorgeous. Bullet hell shooters tend to rely on screens full of lasers and bullets for visual flair, and there's plenty of that here, but the vehicle and environment designs are downright stunning. There are full console games that don't look this good. 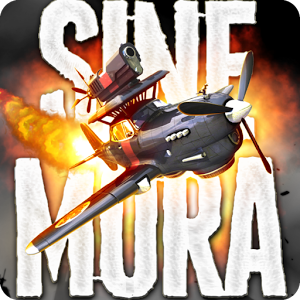 The standard shmup features are present, including upgrades for your plane and weapons. But there's also an interesting health mechanic, or rather, there isn't one. You only die when the stage's time runs out, but you can slow or rewind the clock by shooting down enemies, and taking damage yourself will speed things up, hastening the end of the stage and your "death." 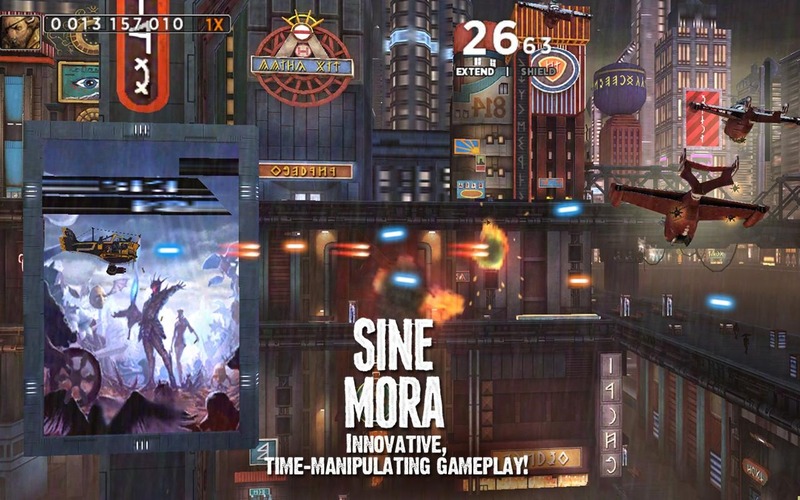 Completing the story mode at different difficulty settings will result in different story elements and endings. There are also plenty of control options for those who like their seizure-inducing shooters to be customized. Choose between standard and mirrored screen-wide touch control, or a fixed or free-floating virtual joystick.